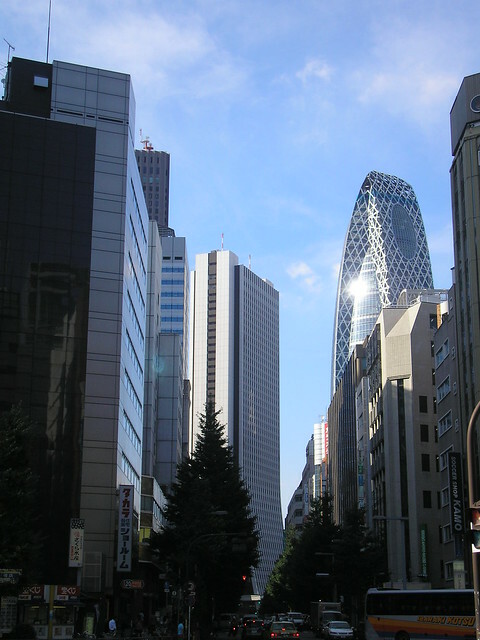 Shinjuku Ward (Shinjuku-ku / 新宿区) is one of the 23 special wards of Tokyo. The 23 special wards of Tokyo (特別区 / tokubetsu-ku) are the areas that make up the main part of Tokyo, which used to be the city of Tokyo before it ceased to exist in 1943. Shinjuku is a skyscraper city, full of office blocks, hotels with incredible views, and shops flashing with neon lights. It’s a must-see stop on any Japan travel itinerary, especially if you’re a fan of “Blade Runner” Japan. As far as sightseeing is concerned, there actually isn’t much to do in Shinjuku, but it makes a great place to stop for lunch, a bit of shopping, a night out, or to stay as a base for visiting other parts of Tokyo or surrounding areas. 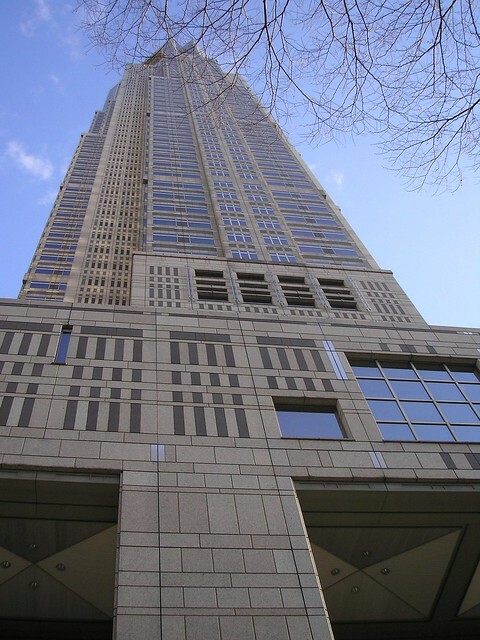 If you do want to do a spot of sightseeing in Shinjuku, I would recommend a visit to the Tokyo Metropolitan Government Building (東京都庁舎 / Tokyo-to Chosha). The building (consisting of two towers) is free to enter, and from the 45th floor observation deck you can see an incredible view of the city. The towers also contain gift shops, selling all the usual tourist fare, and cafes. They’re open until 11pm, so you can get a night view too. To get there, take the West Exit of Shinjuku Station and here’s a map to help you find your way. For more information and opening times, visit the official website. If you’re into views, it’s worth considering a visit to one of the fancy hotels which occupy the upper floors of skyscraper buildings. I’ve only visited one – the Park Hyatt – but would highly recommend the experience. If your budget doesn’t stretch to a stay in one of these hotels, you could consider just visiting one of their bars or restaurants instead. As I said, Shinjuku is also a great place for shopping. 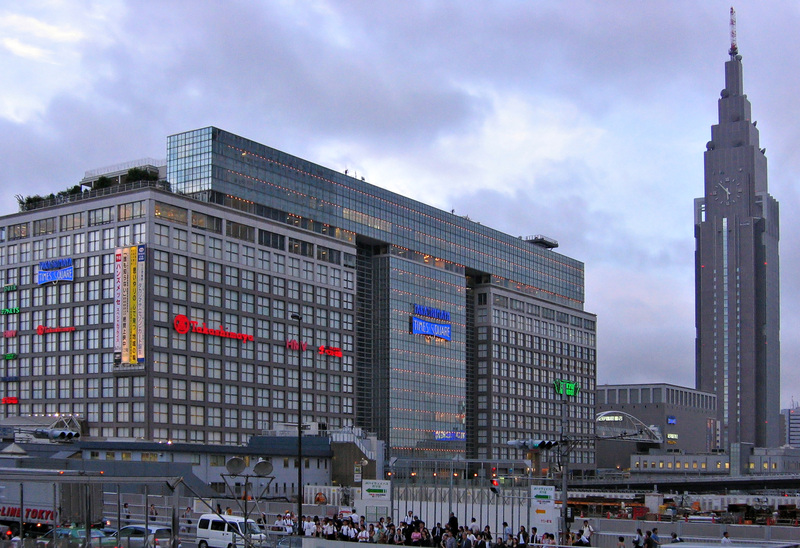 All of the main shops are situated around the station area, and it’s easy to get lost in the underground malls. Where to go depends on what you want to buy, but my favourite area for shopping is Takashimaya Times Square. Takashimaya is a massive department store, and you can buy just about anything you could ever want in there. There’s a Tokyu Hands (which is an essential place for “only in Japan” items) and a Kinokuniya bookshop (which stocks a huge range of English-language books, including lots of language learning books and books about Japan). If you want to visit Times Square, you should take the South Exit of Shinjuku Station. Here’s a link to a map and opening times. Just writing this post and looking through my photos of Japan has made me miss the hustle and bustle of Shinjuku very much. I had good times and bad times there: getting lost with a massive suitcase and speaking no Japanese was pretty bad, but being helped by a businessman and receiving impeccable service in the Park Hyatt were good times. Another happy memory is the last day of my first trip to Japan: I was trying to use up my odd coins, so I went into Starbucks across from Times Square to buy a Matcha Frappuccino and counted out the exact money using 1 and 5 Yen coins, much to the barista’s distress. I then sat with my delicious drink and watched the world go by – and boy did the whole world seem to go by while I was there. Shinjuku is a fast-paced, amazing place to be. 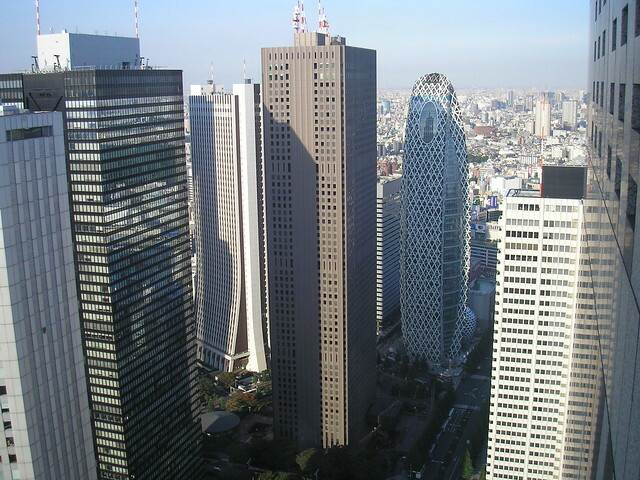 Visit the Shinjuku City Official Website for more information about Shinjuku and to plan your trip. クリスマス？！ Haha – slightly out of season, but a good topic! Thanks for the mention! 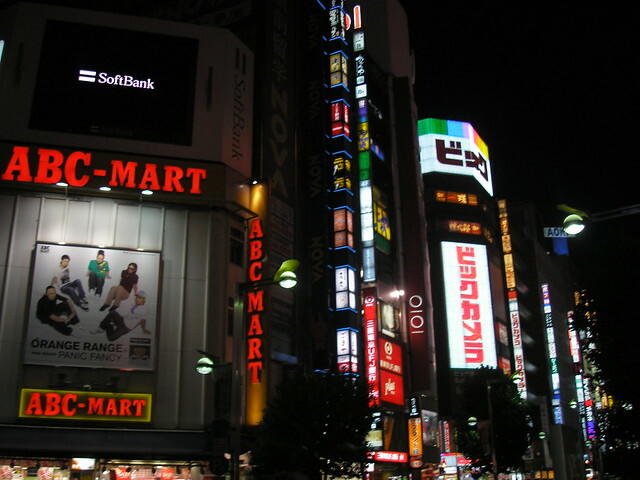 Shinjuku is one of my favourite parts of Tokyo and one of the best places to feel the atmosphere of Tokyo. If you can only see one part of Tokyo this must be it. There are a few you could do with (ku). How about Kutsu (shoes), Kuma (bear) or Kumo (cloud). 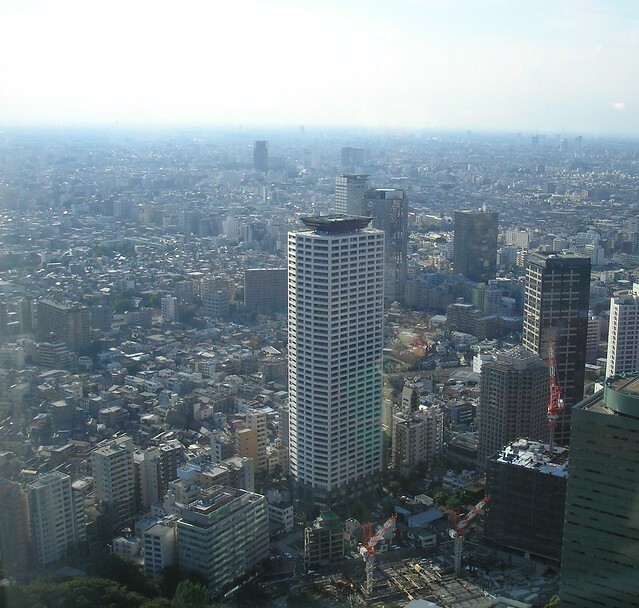 Shinjuku is nice, but for visitors there’s not much apart from the great and free view from the government buidling. « Announcing the winners: JapanesePod101.com competition!